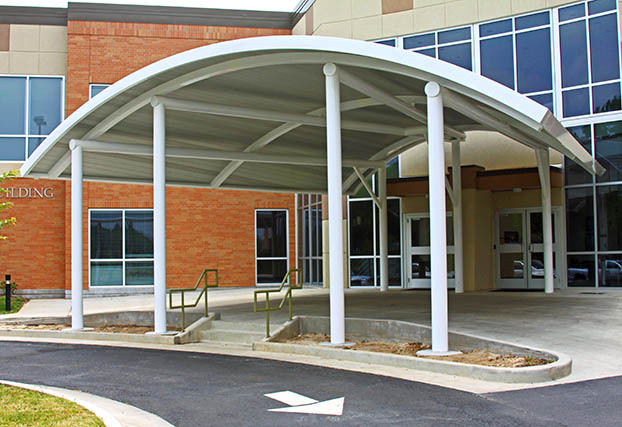 East Texas Canopy, Inc., has been committed to excellence in providing protective covers and sunshades of all types for commercial and industrial applications since 1985. 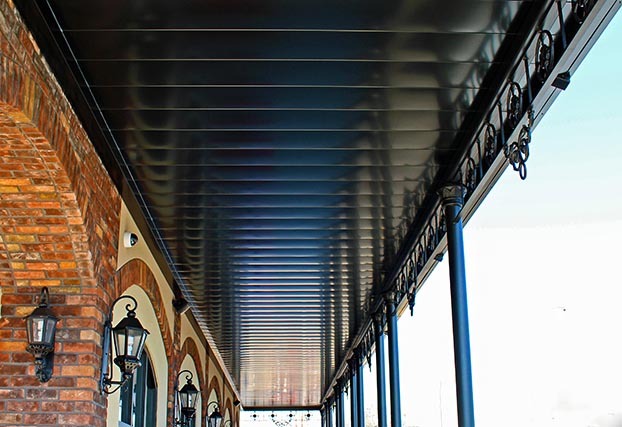 For protective cover needs, there simply is no other company that compares. 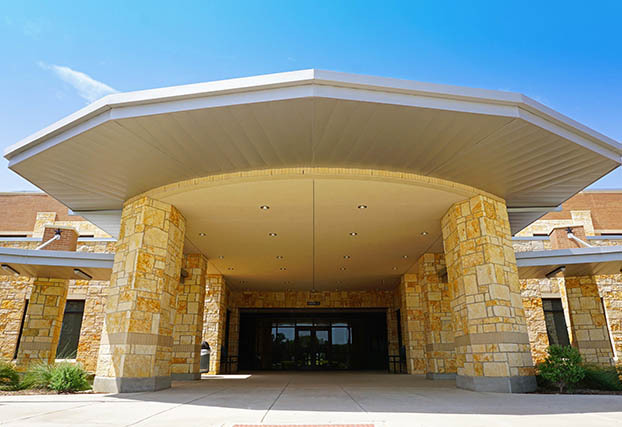 From the smallest entry canopy to the largest industrial project, East Texas Canopy, Inc., is truly your single source supplier. 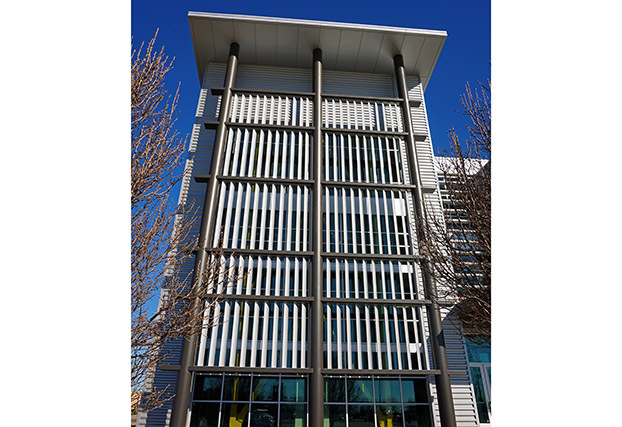 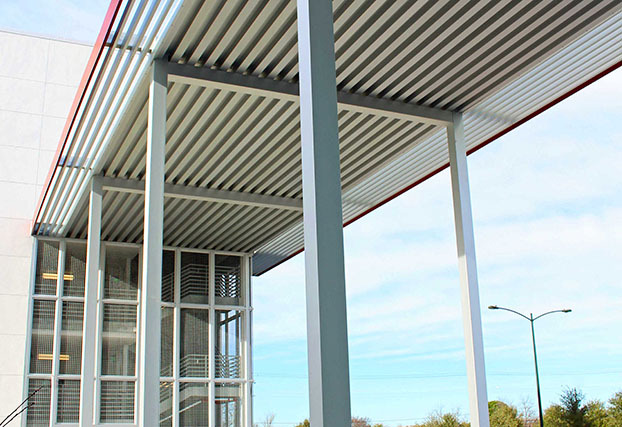 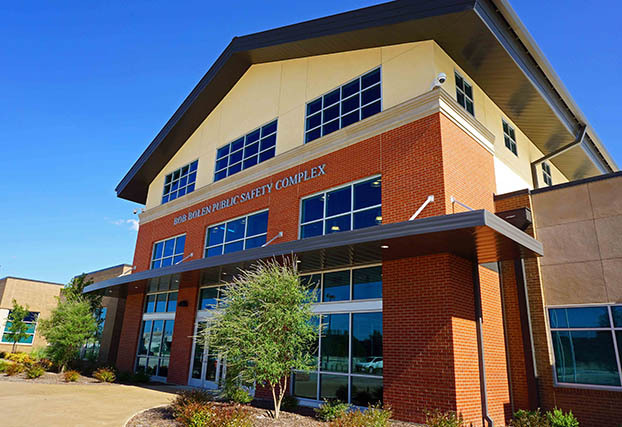 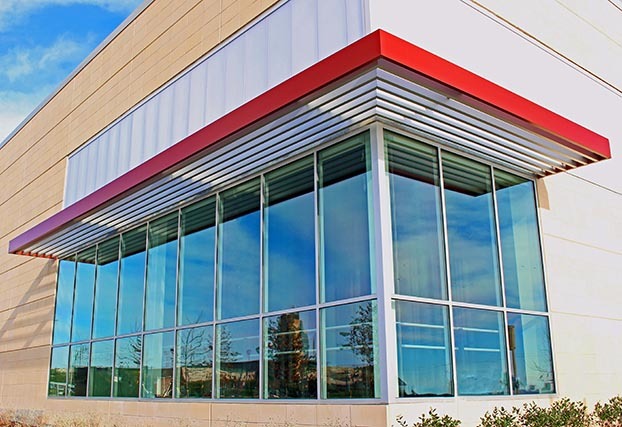 Our product line includes extruded aluminum, roll formed steel and aluminum, insulated panel systems, and sunshade/louver systems to meet your protective covering needs, engineering requirements, and budget constraints. 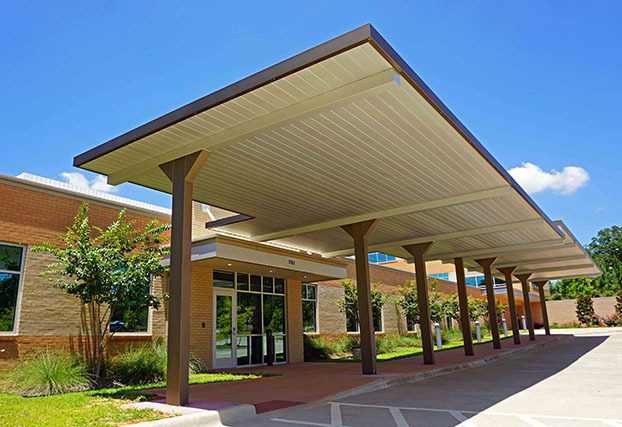 With hundreds of colors available and many different deck, trim, support beam and column options, East Texas Canopy, Inc., is your single source supplier for all your protective covering needs. 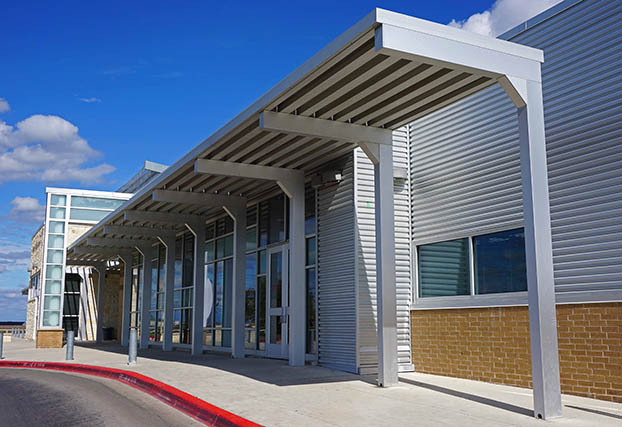 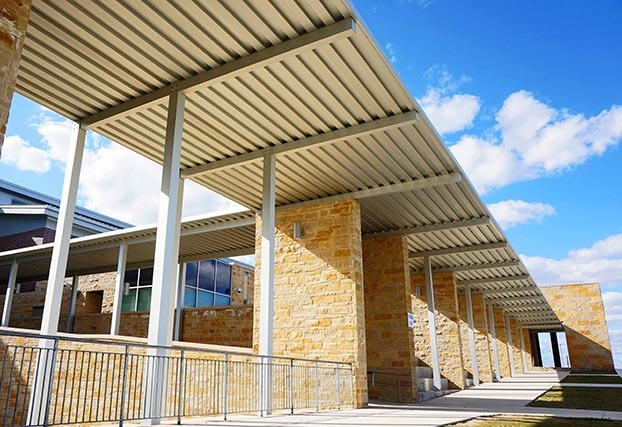 ETC constructs architectural metal walkway covers, carports/drop-offs, overhead supported canopies, entrances, sunshades/louvers and more for a variety of institutions. 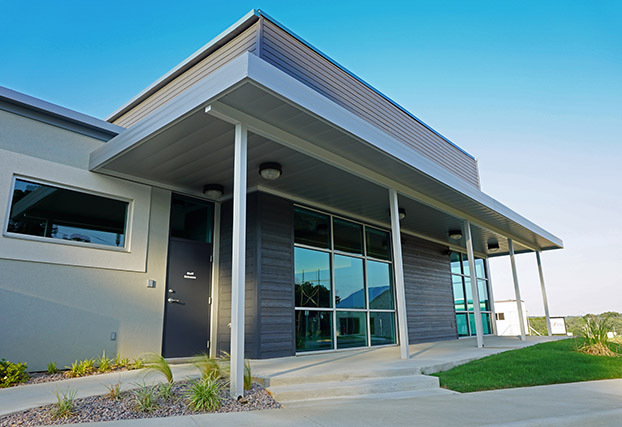 We are able to provide a wide range of finishes including anodizing, wet line painting and powder coating with hundreds of color selections as well as embossing capabilities. 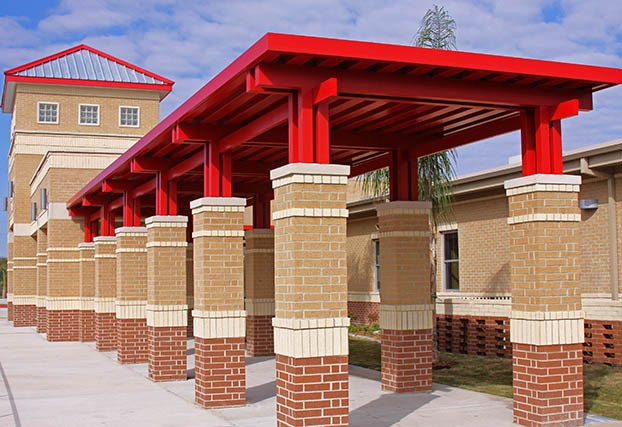 East Texas Canopy, Inc., does business nationwide and is able to help with engineering and technical aspects of any project if needed.